We're excited to announce our integration with Fishbowl Inventory! If you use Fishbowl and you're looking for the easiest way to list your products to major online channels, our integration seamlessly syncs your inventory and order data in a flexible manner that meets the unique needs of your operation. 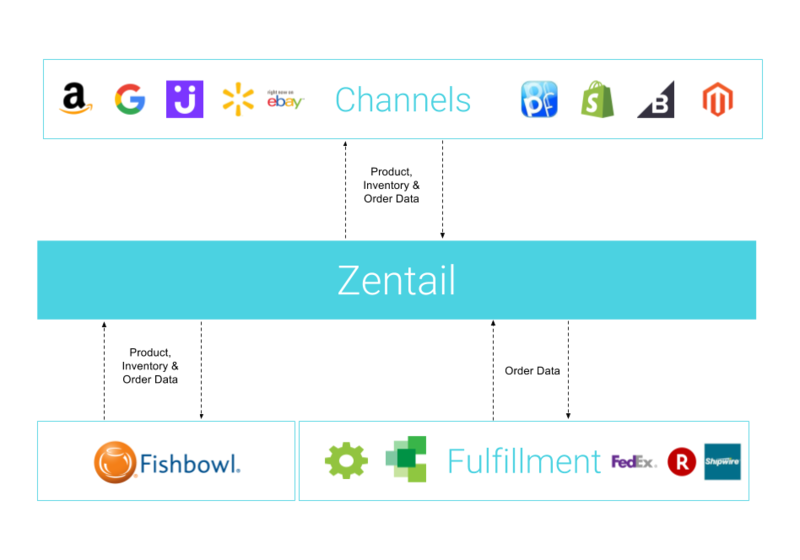 For more details about how to integrate Fishbowl Inventory with Zentail, check out our FAQ. For multichannel ecommerce sellers, good inventory management is absolutely critical. Learn expert tips and your varioius options for managing your inventory. This guest post from the co-founder of Algopix explains the value of using intelligent product research tools to optimize sales on Amazon, eBay and beyond. Fulfillment Works customers now have an easy way to sell on Jet.com, Walmart Marketplace and Google Shopping.